Should we really worry about reaching people outside of our own community when there are so many people here who need Christ? There is a common hesitation of many to support global missions. In this passage of Acts 1, Jesus has returned from the grave and appeared to many. In His last meal with His disciples, He gave His final command to them: “Go! Go and be my witnesses to everyone – here, in this area and in the whole world! (Jerusalem, Judea and Samaria and into ends of the earth)”. He promised His Holy Spirit would come and baptize them and give them power to fulfill His command. Jesus was not just concerned with reaching all of Jerusalem first and, only then, to take the good news further. His command was three-fold and simultaneous. There is definitely a need for us as a Church to support local outreach efforts and be involved in our own community. But we must not neglect taking a role in regional and global missionary work as well. As we are faithful to obey all of Christ’s commands, we will see God bless the local Church. There is research to suggest that churches that are both locally and globally minded grow and thrive. Should we really worry about reaching people outside of our own community when there are so many people in the KW area who need Christ? Think about the statement “You can’t help everyone but you can help someone.” Does it relate to the command to “go”? 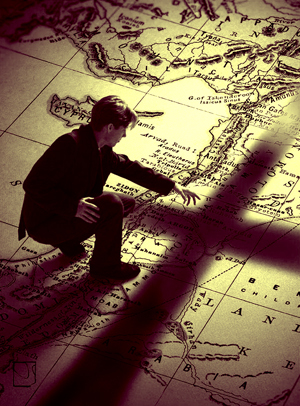 How has this missions experience affected your view of Acts 1:8 and the “go” challenge? Pray that God will anoint our Nicaragua team with a new outpouring of His Holy Spirit today and that they will have divine appointments. Pray that God will show each person on Team Nicaragua how to respond with confidence as opportunities arise today. Pray also that God would bless Westheights Church as we obey the three-fold great commission of Christ.